My sorrow is not so much for England’s sportive defeat four days ago as for the loss of all the witty Hundred Years’ War memes leading up to another battle with the French, in today’s World Cup final. My contribution was ready, though its raison d’être died in the womb on Wednesday night. I’m posting it anyway. ’Twould be a pity to waste it, and besides, many people live long and prosperous lives within counterfactual alternate realities. This whiff of what-iffery is nothing, a midsummer daydream. The number of Englanders who crossed the Channel to invade France Russia was in truth impressive, but I had to stick to the theme. I cut a couple of redundant lines, and the pentameter took a few hits. Here’s the (modernised) original text, should you wish to compare. Swithin (or Swithun) was a ninth-century Anglo-Saxon prelate who tutored Æthelwulf, son of King Egbert of Wessex. During Æthelwulf’s reign Swithin became Bishop of Winchester. Today is indeed his feast day. He healed broken eggs, and has his own meteorological variant of Willy’s cvrst be he yt moves my bones. 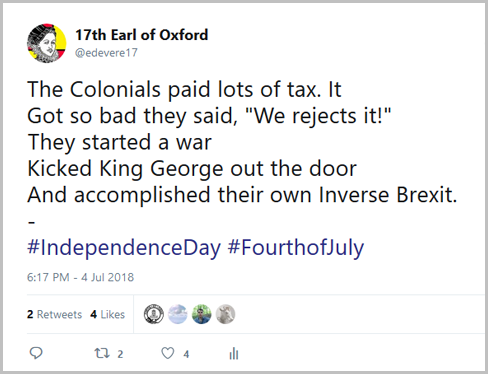 As for an EU joke following yesterday’s concluding loss to Belgium in the third place play-off… I spent my last Euro at the beginning of the month, limericking about American independence. You’re on your own. 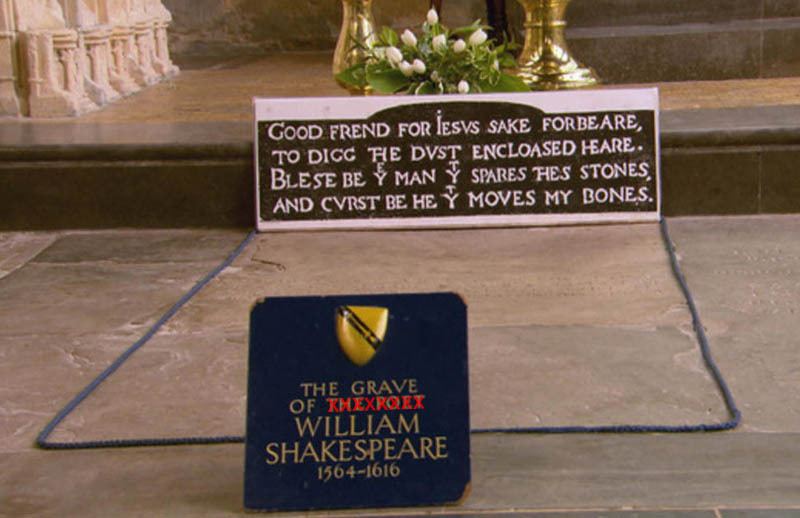 Posted on 15 July 2018 20 July 2018 by @edevere17Posted in Events, Henry V, History, ShakespeareTagged Agincourt, European Union, Football, France, Hundred Years’ War, Sport, St Crispin's Day speech, St Swithin, Three Lions, Travel, United States of America. I’m not an Oxfordian, I’m Oxford. Sign up to receive email notifications of new posts.